FREE for Japan Society Members, RSVP required. The Japan Society of Northern California is hosting a members-only gathering where you’ll have the opportunity to meet our board, staff and other members! As part of the event we will hear from Takara’s sake experts and sample some of their products produced right here in the bay area! Takara Sake USA was established in 1982 in Berkeley, California. 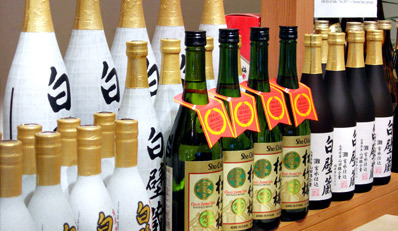 The main products produced in Berkeley are the “Sho Chiku Bai” brand of Sake, “Takara Mirin” and Plum wine. Takara Sake USA has taken pure snow melt from the Sierra Nevada Mountains and superior rice from the fertile Sacramento Valley. To this, they apply traditional sake-making craftsmanship and modern technology to produce a Sake worthy of the Takara mark. Online registration will close at 2:00 pm on Wednesday, April 8. Walk-ins will be allowed in on a first come, first basis. Please contact Briana Burrows, Program Coordinator, at [email protected] or (415)986-4383.